This is the second of a 5-part series of posts covering the most common certifications found on wine labels by guest writer John Szabo MS. Read Part I on Organic Certifications. In practice, Biodynamic farming meets the organic standard including the prohibition of synthetic fertilizers, pesticides, herbicides and fungicides. The maximum allowable use of other vineyard treatments are generally lower than what is authorized under organic standards. Only half the amount of copper, for example, used to fight mildews, is permitted under Biodynamic standards compared to organics. Biodynamic preparations, essentially homeopathic treatments, are also used. Made from medicinal plants (e.g. yarrow, chamomile, stinging nettle) and other natural products (cow manure), these preparations are applied to boost the vines’ own immune system, and proactively eliminate the causes, not just the effects of diseases, and to improve soil health. Work in the vineyards and in the winery follows the earth’s natural daily, monthly and seasonal rhythms (lunar, solar, astral), maximizing vineyard health, and ultimately, it’s believed, wine quality. Going even further, biodynamic farmers also seek to maintain the balance of their ecosystem by integrating animals and animal feeds, perennial plants, flowers and trees, water features, and composting, and setting aside acreage to encourage biodiversity (riparian zones, wetlands, grasslands, and forests, etc.). The goal is to be fully self-sufficient, with nothing entering or leaving the farm (except the final product, eventually). In the winery, permitted sulfite additions are also lower than for organic compliance, and the list of processing ingredients in the winery is likewise considerably shorter. No laboratory-selected, aromatic yeasts (only wild/native/indigenous yeasts carry out the fermentation), bacteria, or enzymes additions are permitted, for example, and acid and sugar adjustment is forbidden. In practice, most biodynamic winemakers use virtually nothing other than minimal amounts of sulfites in the winemaking process, and sometimes none at all. Demeter International, a private, non-profit organization, controls the trademark for the term Biodynamic® around the world (capital “B”), and was the first, and still is the largest certifier of Biodynamic farms. In order for a winery or a vineyard to refer to itself as Biodynamic, it must adhere to the Demeter Farm Standard for a minimum of three years if formerly conventionally farmed, or a minimum of one year if organically farmed, before certification is granted. Farms are inspected annually by Demeter employees, and the whole process is extremely rigorous. The Demeter certification is recognized in all Canadian provinces. Nikolaihof estate in the Wachau, Austria, was the first winery to begin farming vineyards according to Biodynamic principles in 1970, and today, some 700 wineries are Demeter-certified worldwide. Two other private organizations also offer certification for biodynamic operations (small “b”). Biodyvin, originally established in France in 1995, currently counts 135 members in Germany, Italy, Portugal and Switzerland, in addition to France. 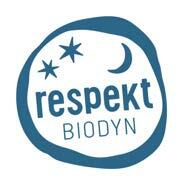 The splinter biodynamic association of wine producers called Respekt was founded in 2007 by a group of Austrian vintners, and now counts 22 members, including several German producers. Both essentially operate according to Demeter standards, and their certifications and logo/wordmarks are recognized in Canada. 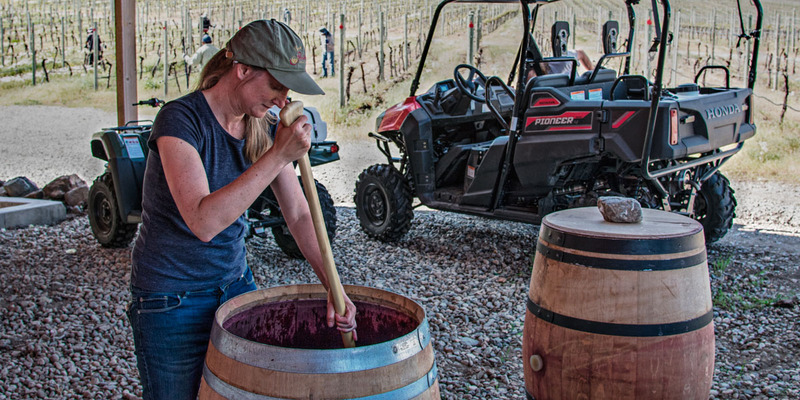 Many other wineries around the world have adopted some or all of the principles of Biodynamic winegrowing, but opt not to seek certification, as it’s a costly process, in both time and fees. But according to the Demeter website, to use “some Biodynamic practices” is a bit like being “a little pregnant”. These folks take it seriously. Detractors of biodynamics scoff at the perceived pseudo-science of the processes and new-age, faith-based beliefs in scientifically unverifiable claims, as traditional medical practitioners might roll their eyes at homeopathic remedies or Chinese medicine. In my experience, however, a disproportionate percentage of the world’s best wines are made biodynamically, an unlikely coincidence. But whether quality is due to the harmonization with the Cosmos, or simply the considerably higher time, energy, care and observation one must put into biodynamic production that makes the difference, is still up for debate. At Phantom Creek, we are working towards organic and biodynamic certification under the guidance of Olivier Humbrecht MW. Olivier initiated Domaine Zind-Humbrecht’s transition to organic and biodynamic practices in 1997, and is now the President of Biodyvin. Led by the tireless efforts of John Pires and Ryan McKibbon, our farming does not include any synthetic herbicides, pesticides, or fertilizers. Biodynamic farming requires meticulous attention to detail, which in turn makes us more attuned to our vineyards. It is a sustainable approach, which we think yields exceptional wines.